If you're looking for an easy-to-use video and photo editor, Pinnacle VideoSpin is definitely a good choice. Don't be mistaken: this is no replacement for big shots like Adobe Premier or Sony Vegas. However Pinnacle VideoSpin works perfectly well for the average user who wants to create an easy video presentation including video clips, photos, sound effects and background music. The program features support for the most popular file formats, plus a nicely designed interface that divides the working area into three main sections: the list of material you can add to your presentation, a preview window and a timeline – together with a slightly annoying banner. The timeline is a handy tool that lets you to organize every element in your video in terms of the position they occupy in the presentation, the amount of time they take and the transition effects between them, among other settings. 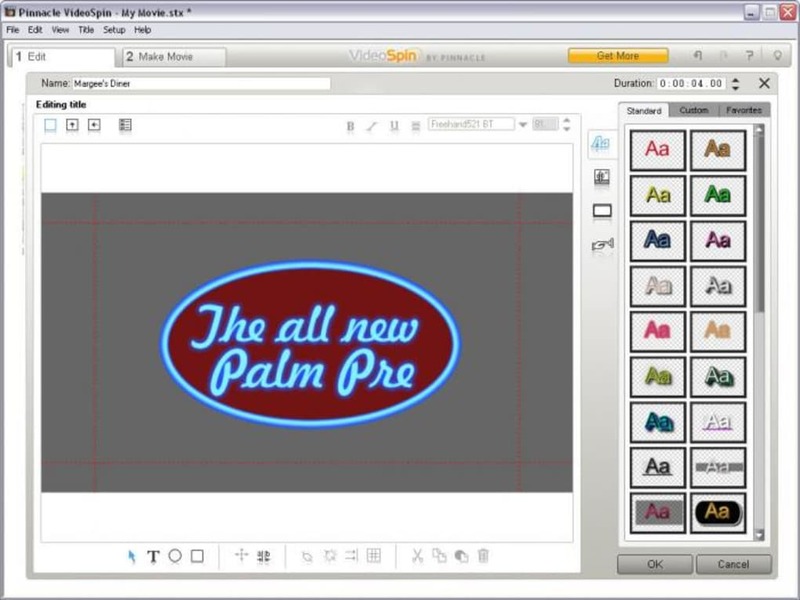 Pinnacle VideoSpin also features a special tool to create and edit title screens, along with some ready-made material like sample titles and audio effects. However I still missed more advanced functionality, such as adding fading to sound or replacing the video's original soundtrack – despite reading the Help section from end to end, I didn't manage to make it work. Once your presentation is ready, Pinnacle VideoSpin allows you to save it into a variety of formats and support, including AVI, DivX, iPod compatible video or MPEG. 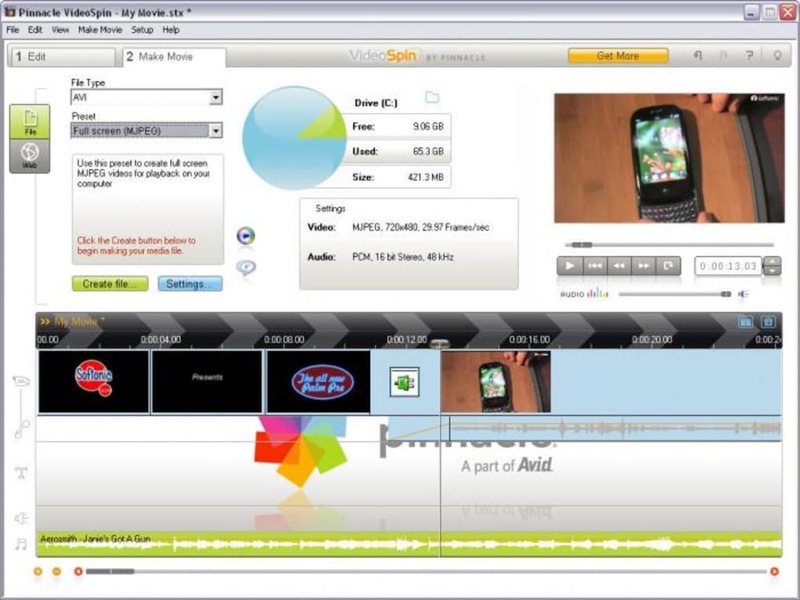 Pinnacle VideoSpin is an intuitive presentation tool with which average users can easily create their own photo and video shows. You can click the original sound line, a dot is created and you can lower the original sound down to zero. Or you can multi click on the orange sound line and lower or raise the sound line between the created dots, creating the sound fade effect. Why can’t I download Windows Movie Maker?